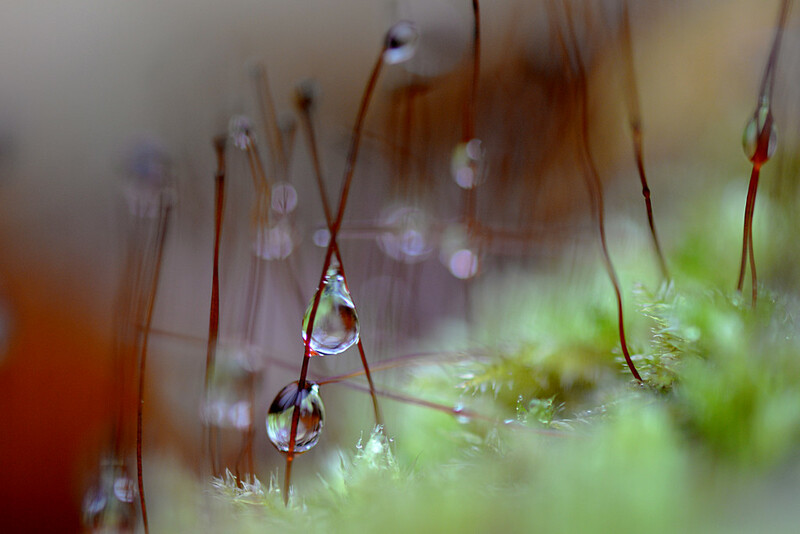 Down in the land of the moss, that is where you will find nature's jewels! These little water droplets light up like little jewels if you take the time to get down on the ground and really looks! So Cool!!!!! Couldn't agree more. I can't walk past moss. It never ceases to amze me how,one slight twist of the focus can bring a whole new world to view. Am a bit of an addict. This is a super shot Faye. What a close up! Well done! Fav from me! The title is so fitting! Just love this image . . . can't pull my eyes away! Fav for sure! Excellent focus on these little forest gems. The colors are so pretty, almost pastel-like. I love seeing all the amazing details you find in nature. Gorgeous shot. I love how this is such a feast for the eyes. Beautiful viewed on black - fav! Oooh gorgeous. Congratulations on TT! Congratulations Faye! This is very well deserved to be on the Top Twenty! FAV! Wonderful -- congrats on TT!